Although OS X is a very stable operating system, from time to time a bit of maintenance doesn't go amiss to make things more snappy. Magican is a simple and slick tool for exactly that although the dodgy translations throughout do cast some doubt over its credibility. Magican performs maintenance and optimization of Mac OS X, removes duplicates to unnecessary translation files and binaries that take-up valuable disk space. In addition, it can uninstall applications and provide and can even generate a report of applications that are accessing the internet. It works in either a minimized version on your desktop, in your Menu Bar or in large windowed mode on your desktop. 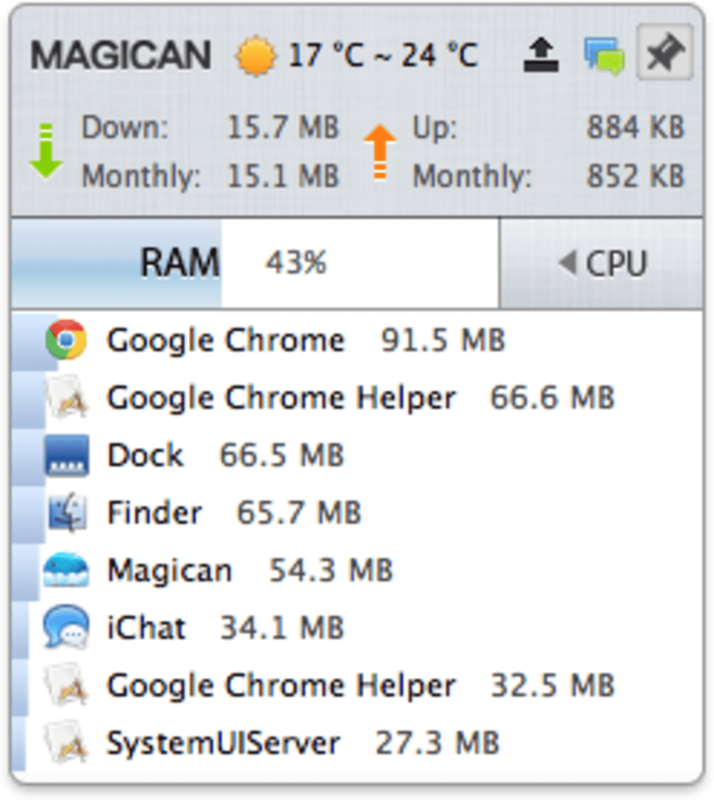 The slick interface reminds us very much of MacKeeper and it performs similar functions. Although Magician is a very accomplished tool with a slick interface, the aforementioned translation issue means that it should be used with care. 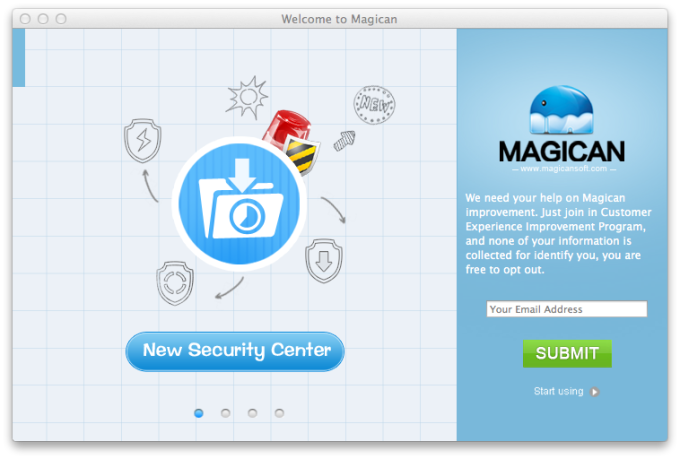 Magican is very eager to obtain your e-mail address when your start the app which is unusual for a cleaner and optimizer. There are other options such as Onyx that do pretty much the same job, without the slick interface but also with properly translated English and no requests for your e-mail address. 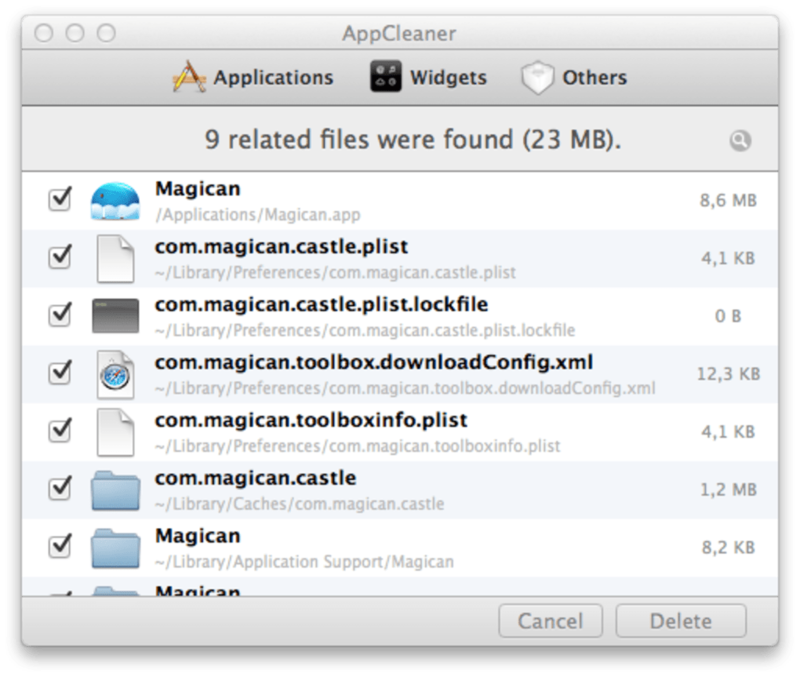 Magican is a slick cleaning tool for Mac although the poor translations and e-mail address request is a bit concerning. Anti-Trojan enables detecting: Tsunami/DevilRobber/Imuler. Correct memory usage display (Usable memory now include free and inactive memory). Fix abnormal warning of temperature on OS X 10.6. Fix problem that "Auto start at login" option takes no effect on OS X 10.8. Fix bug that displaying on-download scanning notification may cause crash. Improve efficiency of Full Scan. Bugs fixed. This is simply an amazing piece of software. Wow ! 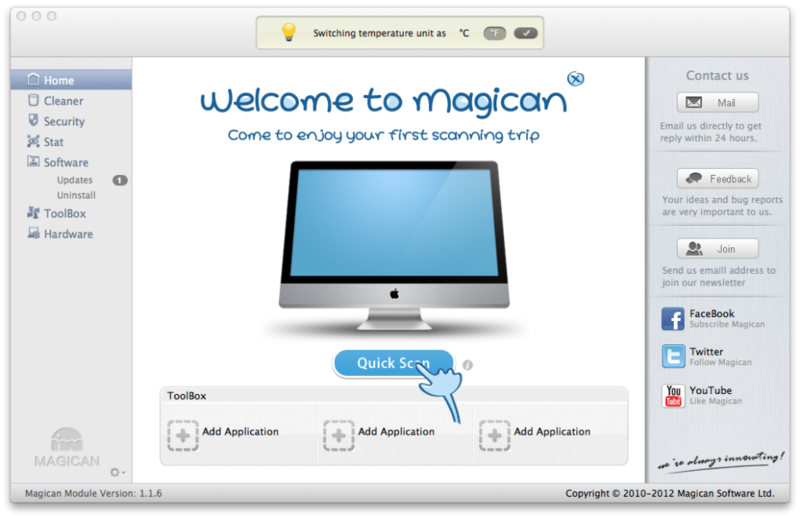 !just to let you all know at magicansoft, i am absolutely delighted with the magican software suite !!! this is simply an amazing piece of software, i.E. Superb gui, amazing functionality and great software suite package, bar none. What do you think about Magican? Do you recommend it? Why?